Established in 1968 as a land development company, over the years Schmidt Companies has grown to include a variety of investment interests, most recently in the field of aviation. Through the Schmidt Family Foundation, the organization is also active in philanthropy. A resident of Boca Raton since 1968, Richard Schmidt has played an integral part in the growth and development of Boca Raton, and his activities are evident in the community. He currently serves as President of the Board of Directors of the Boca Raton Community Hospital. As founder and managing partner of Schmidt, Raines, Trieste, Dickenson, Adams, and Company, Certified Public Accountants, Chartered, he led the company to become the area's largest accounting firm. 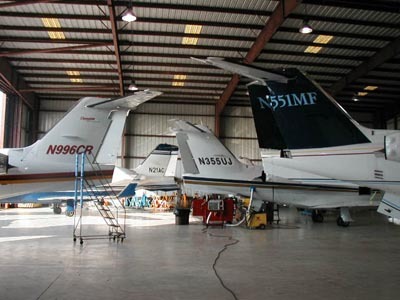 Retired from the firm in 1988, he has redirected his involvement to include the real estate, the Schmidt Family Foundation, and most recently - aviation. The organization prides itself in personal relationships and high moral standards, which have become trademarks. Established in the community since 1967, it networks with people and businesses to pursue new areas of growth.